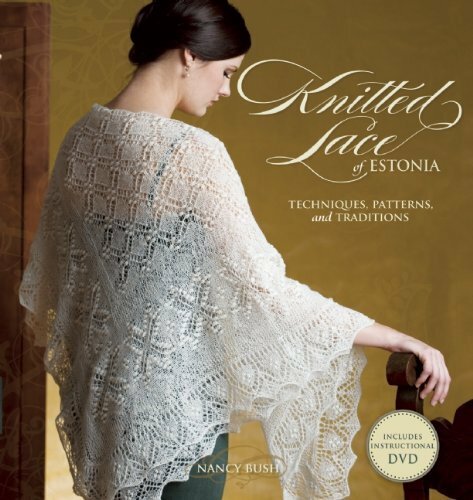 On the new bonus DVD, Nancy explores the knitting traditions of Estonia, as well as offers in-depth instructions for the book’s patterns and techniques, as well as designing an Estonian-style shawl, stole or scarf from beginning to end. 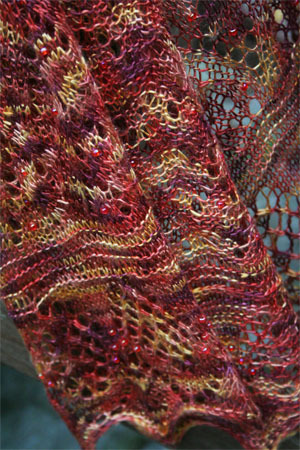 The beautiful picture below is Madli's shawl, from the book, in Artyarns Silk Essence - in F4 Autumnal. You can add the beads, too - makes a stunning project!